Preheat the oven to 180C/gas mark 4. Line a 12 hole tin with cupcake cases. Add the lemon juice and lightly fold in the flour. Loosen the mixture with the milk if needed – the mixture should drop easily off the spoon. 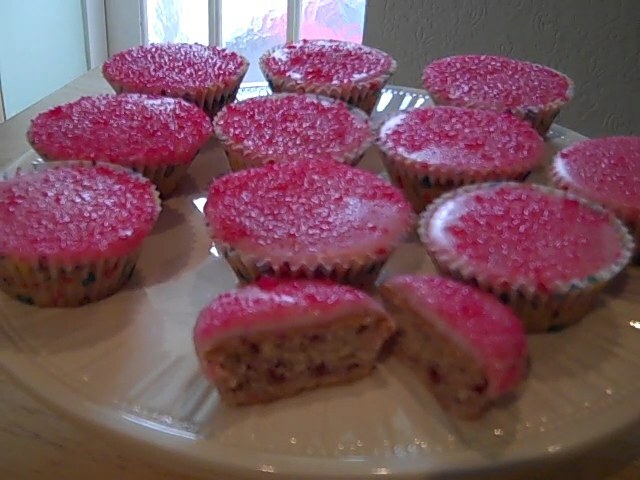 Divide the mixture evenly between the cupcake cases. Bake for 20 minutes until risen and lightly golden. Turn the oven down to 170C/gas mark 3. 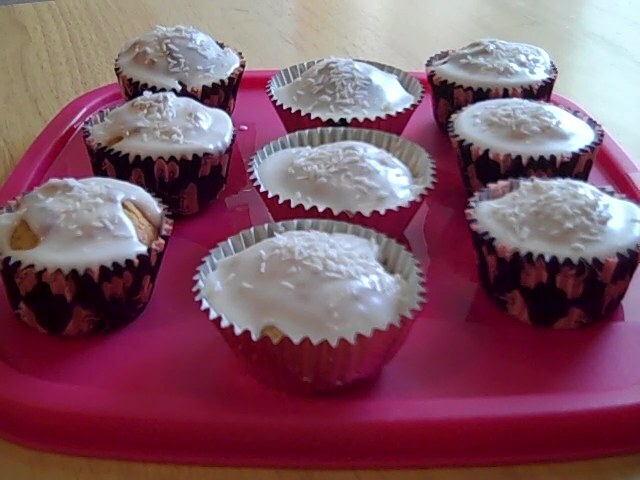 Using a cake corer (I was recently given one so I’m showing off :-)) or a sharp knife cut a hole in the centre of each cupcake and fill the hole with lemon curd. To make the meringue, place the egg whites and icing sugar into a clean, dry, heatproof bowl. Bring a saucepan of water to a gentle simmer and place the bowl over the saucepan, making sure the bottom of the bowl does not touch the water. Whisk with an electric hand mixer on slow to combine, then on high speed until the mixture holds its shape and forms soft peaks. Take the bowl off the heat and continue whisking until cool. Spread or pipe the meringue over the cupcakes, making sure you go right to the edge of the cases to cover the cupcake completely. Return the cakes to the oven for 20 minutes until lightly golden and set. 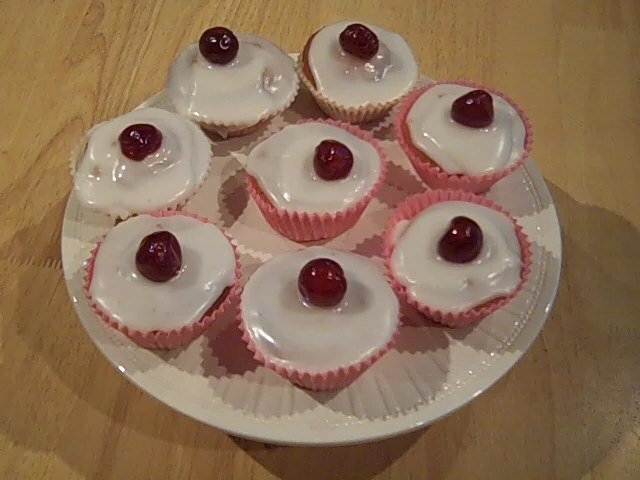 Tip: When using glace cherries, make sure they are washed and dried really well, otherwise the syrup they are kept in will leak into your icing, if being used to decorate the cake, or cause the cherries to sink to the bottom of the sponge cake during baking. Beat the butter with a mixer until creamy. Add all the other ingredients for the cup cakes, except the jam, and beat until light and creamy. Spoon the mixture into cup cases, dividing it evenly. Level the mixture in each case using the back of a teaspoon. Bake for 15 – 20 minutes or until golden brown and firm to touch. Remove cupcakes from the tin and leave on a wire rack to cool. To make the icing, sift the icing sugar into a bowl and mix in the lemon juice to make a thick, but spoonable and runny icing. Set aside. Using an apple sorer or small sharp knife, remove the centre from each cup cake, only cutting two-thirds of the way down. Stir the jam until it is a little runny, then carefully spoon into the holes in the cup cakes until the jam just reaches the top (don’t over fill). 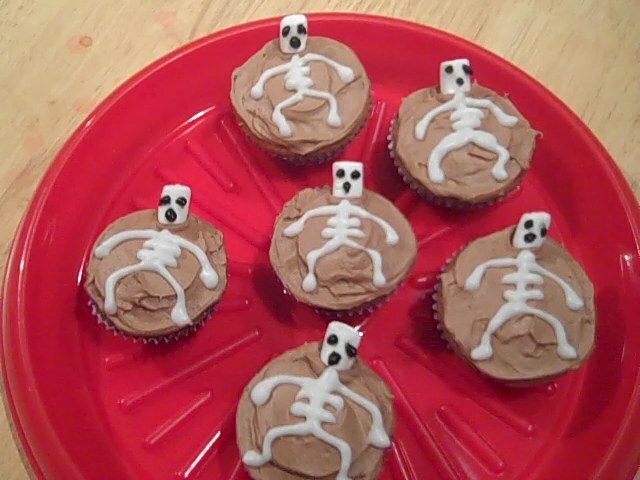 Beat the icing. then spoon it over the top of each cup cake to flood the surface until the icing reaches the sides of the paper case. Be careful that the jam doesn’t become mixed into the icing. Add a cherry to the middle immediately and leave to set. This is one for the Children out there. Chocolate cupcakes are always a favourite. 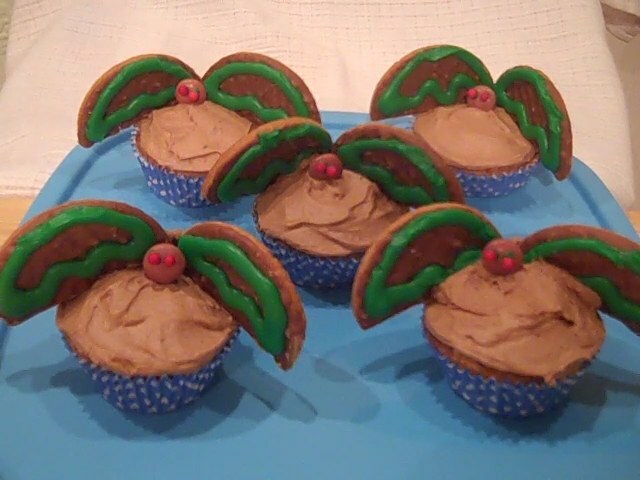 You can make these as regular (24) or minis (48). Preheat oven to 190C/gas mark 5. Break the chocolate into pieces and melt it. Leave to cool. In a large bowl cream the butter and sugar until the mixture is pale and smooth. In a separate bowl, beat the egg yolks for several minutes. Add the egg yolks to the creamed mixture and beat well. Add a third of the flour to the mixture and beat well. Pour in a third of the milk and beat again. Repeat until all the flour and milk have been used. In a clean bowl, whisk the whites until you have soft peaks. Carefully fold the egg whites into the batter mixture, using a metal spoon. Do not beat or you will take all the air out of the mixture. 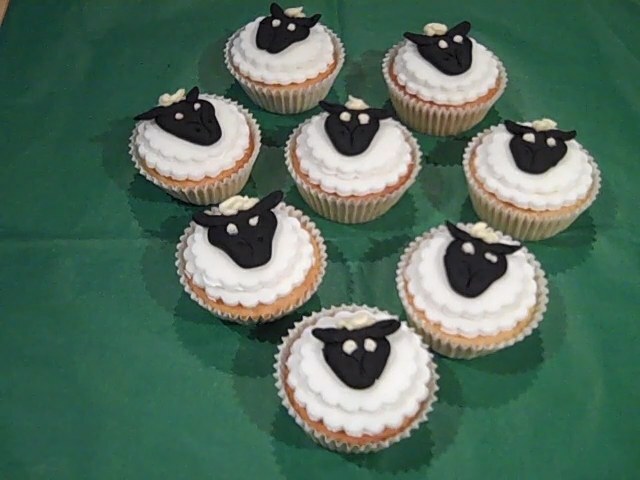 This is quite a runny batter, so take care when spooning into the cupcake cases as it can be very messy! 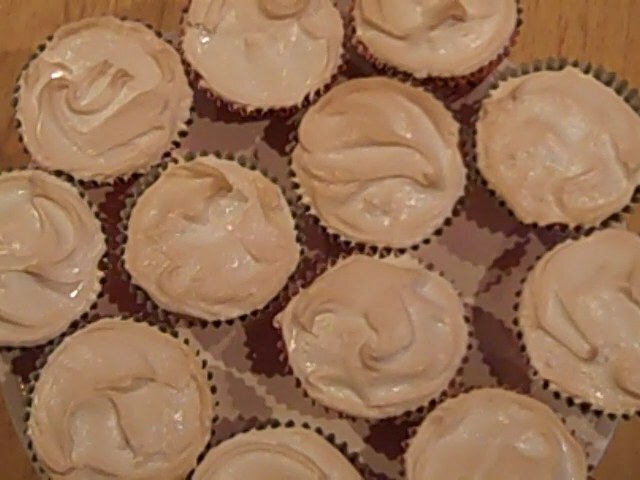 Alternatively, pour the batter into a jug first then just pout the batter into the cupcake cases, makes it a lot easier. Bake for 20 minutes (regular size) or 15 minutes (mini size). Leave in the tins for 10 minutes before placing on a wire rack to cool completely. 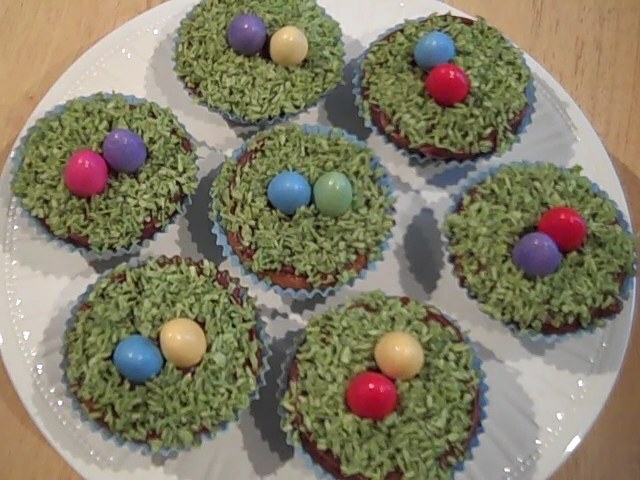 To decorate, spread top of the cakes with Nuttella, put mini eggs on the cakes.